"A flying saucer from outer space crash-landed in the Utah desert after being tracked by radar and chased by helicopters." 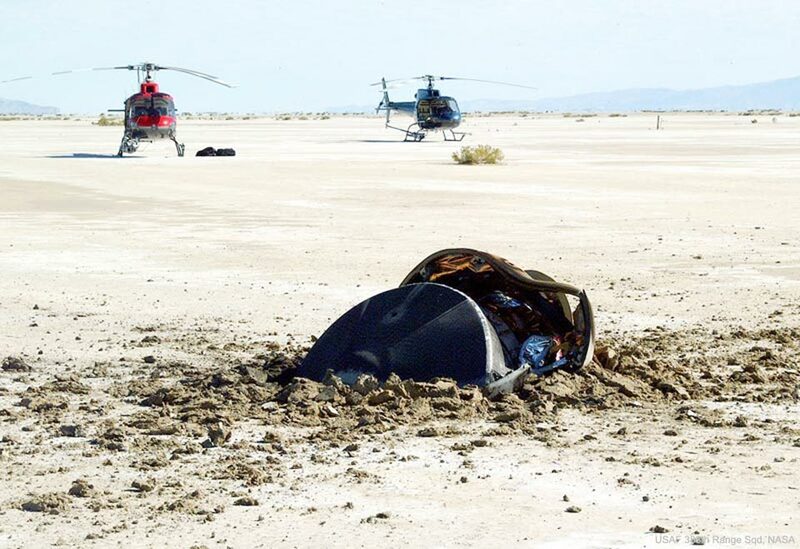 No, it's not the opening scene of an episode of The X-Files - it's the caption of a NASA photograph that shows a saucer-shaped contraption half-buried in dirt, next to mangled wreckage. The space agency posted the image, captured on September 8, 2004, on its Astronomy Picture of the Day site. While accurate, the caption is perhaps a little misleading - this was no Roswell, if you believe the conspiracy theorists. The wreckage belongs to a human-made Genesis sample return capsule, launched in 2001 to study the sun. Its two parachutes failed to open, which an investigation revealed was the fault of an acceleration sensor switch being installed backwards. Helicopters were in the air, with the intention of catching the parachute with a five-metre hook and bringing the capsule down to Earth with a soft landing. But with the capsule travelling at a blistering 311km/h, that wasn't an option. 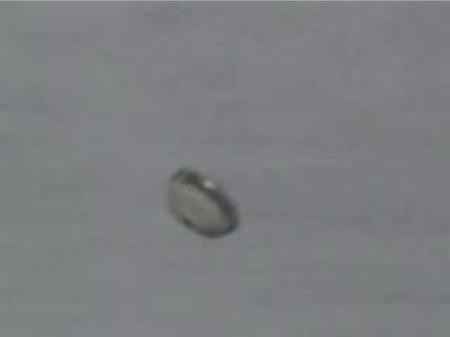 The Genesis return capsule, just before impact. "Despite the crash landing, many return samples remained in good enough condition to analyse," NASA said. "So far, Genesis-related discoveries include new details about the composition of the sun and how the abundance of some types of elements differ across the solar system. "These results have provided intriguing clues into details of how the sun and planets formed billions of years ago."